Ohh, this yummy Pinterest inspired dish caught my eye and I was excited to try something new! As always I was inspired by this recipe but changed it up to fit my family and what I had on hand. Here’s what I did. Add vegetable oil to dutch oven or instant pot on sauté setting. Add flour, s&p to a small bowl, toss cubes Beef in flour mixture. Sear Beef in veg oil to brown and crusty. This is an imp’t step and you shouldn’t skip! Flavor people, flavor!! Brown in small batches and set aside. After that’s all nice add garlic, ginger, & lemongrass to pan sauté just until fragrant and add chicken broth. Scrape all the crusty stuff off the bottom of your pan. Again, flavor. If you are doing this in your instant pot or crock pot/ slow cooker add the meat back to pot w broth & spices. Mix soy sauce thru sriracha and pour over top then sprinkle with green onions. If using slow cooker set to low for 6-8 hrs or high for 4. Or set the Instant Pot for 60mins allow pressure to release naturally and serve over Jasmine rice. I served peas on the side. Broccoli would be great too. Anything green! 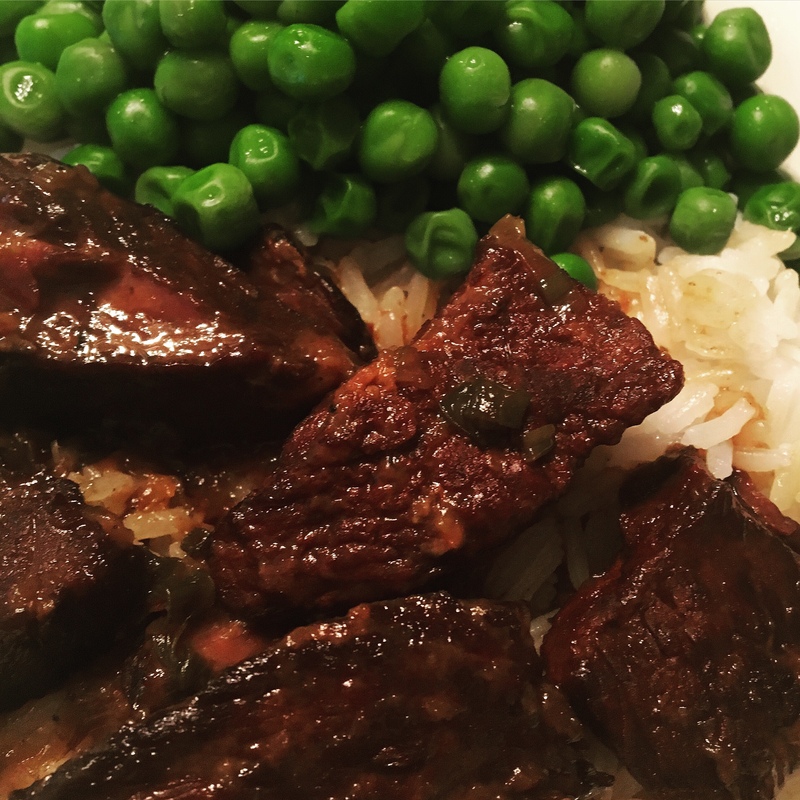 This entry was posted in Asian, beef, crockpot, instant pot, slow cooker and tagged asian, beef, braised, crockpot, instantpot.